When you take out a car loan in Daphne, you’re going to be charged interest. But how much do interest rates impact your monthly payments and the total amount that you owe on your car? 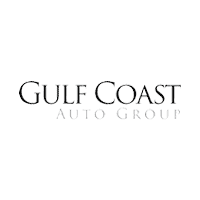 Learn more about how to calculate interest rates on your car loan with the help of Gulf Coast Auto Group, and get car financing in no time! Principal Amount: This refers to the dollar amount you want to borrow. Loan Term: This refers to the period of time that you will be repaying your car loan. Generally, shorter loans mean higher monthly payments but less interest paid overall. Longer terms will have lower monthly payments but more interest paid in the long run. Repayment Schedule: Most car payments are paid monthly, but if you can make payments more often you can save more money. Overall, making more payments means paying less over time. Repayment Amount: Each time you make a loan payment, part of that goes to the interest of your loan and part repays your principal. What you come up with after using this equation will show you the amount of interest you will pay in the first month. Subtract the interest you just calculated from the payment you just made to find the amount you’ve already paid off the loan principal. Subtract this total from your original principal to find your new loan balance. Human error and rounding numbers means you won’t necessarily find an exact calculation every time, but this will give you a good idea of how to calculate the interest rate on a car loan — as well as help figure out how you should budget money from month to month. If calculating car finance is a little overwhelming or you have any other financing questions, you can count on the experts at our Mobile finance center. We’ll walk you through how to calculate interest on a car, as well as provide you with other useful information about how your interest rate impacts your monthly auto loan payment what gap insurance provides, and more. You can also check out our easy-to-use monthly payment calculator at any time!